UT Jazz is excited to present a masterclass with New Orleans drummer, Johnny Vidacovich. 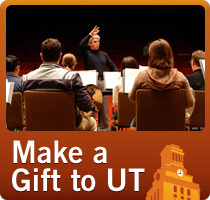 Hosted by the UT Jazz drum studio of Wayne Salzmann II. 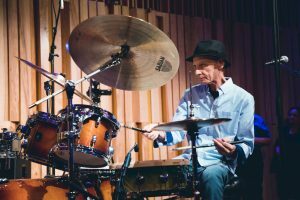 Mr. Vidacovich has been recognized by OffBeat magazine in its Best of the Beat Awards as “Best Drummer/Percussionist” numerous times, and has been praised in Downbeat, The New York Times, and NPR’s Jazz Profiles by Branford Marsalis. He has played with Bobby McFerrin, Stanton Moore, Charlie Hunter, Willy DeVille, Robert Walter and New Orleans musicians Johnny Adams, Professor Longhair, James Booker, Alvin “Red” Tyler, and Mose Allison. Drummers who have cited Vidacovich’s influence include Staton Moore, Kevin O’Day, and Brian Blade. Mr. Vidacovich is a faculty member at Loyola University’s School of Music.